SPF 2001: Happy summer! This is a short, jazzy piece made in Renoise using instruments from Independence Basic. Based on a tune I wrote for a comedy video over a decade ago. Justice: A foray into electronic music, inspired by a scene in a larp by Paranoid & Crotchety. 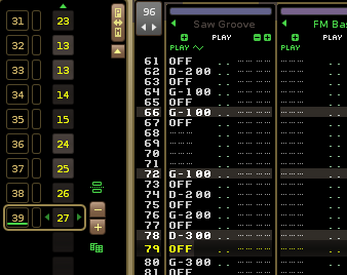 Includes some old-skool chiptune instruments as well as some modern ones. I've included lossless versions for your editing pleasure as well as the .xrns files so you can load them up in Renoise and see how they tick. If you want to actually play the music in Renoise, you'll need Independence Basic (available from MAGIX or whoever owns it these days).